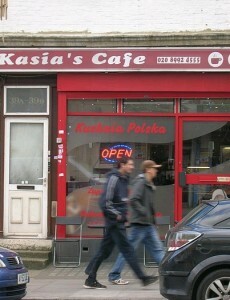 Poles in the UK: Should They Stay or Should They Go? A morning of June 24 was like no other. Some people were woken up in the early hours by a piercing sound of their mobile phones, when their friends wanted to reach them. Others anxiously climbed out of their beds. Most of them immediately switched on BBC news on their tellies only to find out that their worst fears came true – the majority of British citizens voted ‘leave’ in the EU referendum. 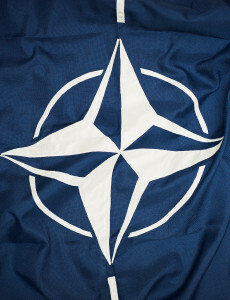 It is not only mutual military support and the common market that unites EU and NATO Members States. Our cooperation is and has to be based on common values – democracy and the rule of law. Barack Obama very clearly made Polish politicians aware of this fact during the press conference at the NATO summit. 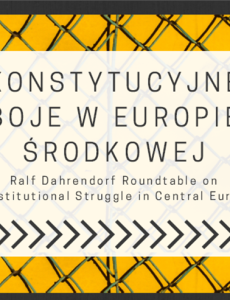 On June 15, 2016 representatives of liberal parties and think-tanks gathered in Warsaw for Ralf Rahrendorf Roundtable on Constitutional Struggle in Central Europe to discuss how political parties in Central Europe tried (and are still trying) to limit constitutional courts’ position. 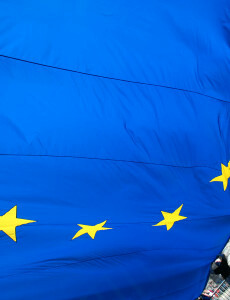 In the recent years we could observe a significant crisis of democracy and the rule of law in some of the CEE countries. During the Roundtable our experts discuss and compare how the political majorities attacked the independence of the constitutional courts and what was the response of the opposition, media, civil society and the EU. 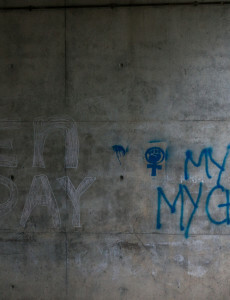 In the recent weeks thousands of Polish women have been demonstrating on the streets to protest against the total ban on abortion. 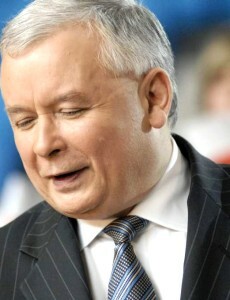 The radical proposal formally came from a marginal conservative NGO, yet it was eagerly supported by the PM, her government and Polish bishops. A letter from American senators to PM Beata Szydlo, a visit from the Venice Commission, a debate about the situation in our country in the European Parliament: what else has to happen for the Law and Justice’s government to open their eyes and see what is going on? Last Thursday marked another important landmark of the constitutional crisis in Poland. 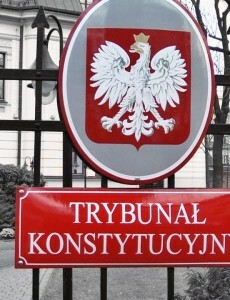 Law and Justice – the Poland’s ruling party – appointed in a parliamentary voting another member of the Constitutional Court. The light in the tunnel is gone. Law and Justice provided the ultimate evidence of its unwillingness to solve the crisis in a democratic way. It might sound unrealistic with Eurosceptic populism on the rise but the only way to tackle lack of Union’s efficiency, both internally and externally, is to introduce more integration and coordination. In today’s globalised world, aiming for dissolution or weakening the Union is a key geopolitical threat to stability on the continent. 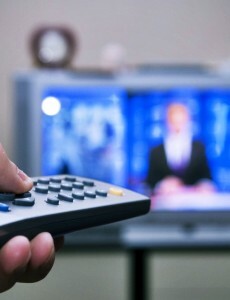 The purely staff-related nature of the reforms and the statements by Law and Justice’s politicians leave no doubts that the media fight has one objective: undermining the public media’s ability to scrutinise the actions of the government. The attempt to turn the Polish media into a propaganda tool of the government has already been noticed abroad. The sequence of events in Poland might sound familiar to many of you. Hungary experienced quite a similar scenario. Clearly, Poland is not an isolated case. Political radicalisation and anti-democratic backtracking might be contagious.